Despite a wealth of recent scrutiny, the overwhelming majority of senior level executive positions still belong to white men, and corporations are struggling to figure out how to improve their diversity. One UK financial institution, however, is making promising strides in that direction -- Nationwide Building Society is making a point to be inclusive to many diverse types of people and has earned recognition for what it has achieved so far. 1. Creating diversity support networks. In order to strengthen the diversity that exists among Nationwide’s employees, the organization encourages the workforce to create high-profile employee networks, which both foster and support different minority groups’ involvement within the company. 2. Implementing unconscious bias training. Nationwide has made a concerted effort to try and reduce “unconscious bias” which is now widely recognized to happen during the hiring process. Unconscious bias is a natural occurrence that can impact decisions to hire people who are from a different minority or cultural group than your own. “We ask that whenever there is a recruiting process at least one of the people who is doing the interviewing has gone through our recruitment training program which covers this,” says Rice. In unconscious bias training the employee is helped to understand and acknowledge their own biases and how they operate. “There’s a lot of evidence to show that organizations which do use unconscious bias training on a regular basis, do far better in terms of the numbers of diverse people who are either recruited or promoted within the organization,” explains Rice. 3. Engaging upper management in the diversity challenge. In order to keep the challenge for diversity, equality and inclusion front and center in terms of organizational goals, Nationwide engages management at the very highest level. “We’ve created a senior level steering committee that will now meet regularly to help shape the agenda and come up with new initiatives,” shares Rice. 4. Letting diverse employees tell their own stories. “One of the things we’re doing is highlighting employees from diverse backgrounds and giving them a voice by letting them tell their own personal stories on our company blog,” says Griffiths, whose organization employs 17,000 people across the United Kingdom. It’s a well-known fact that for every 100 men working in STEM (Science, Technology, Engineering and Math) related jobs, there are only 13 women, shares Griffiths. 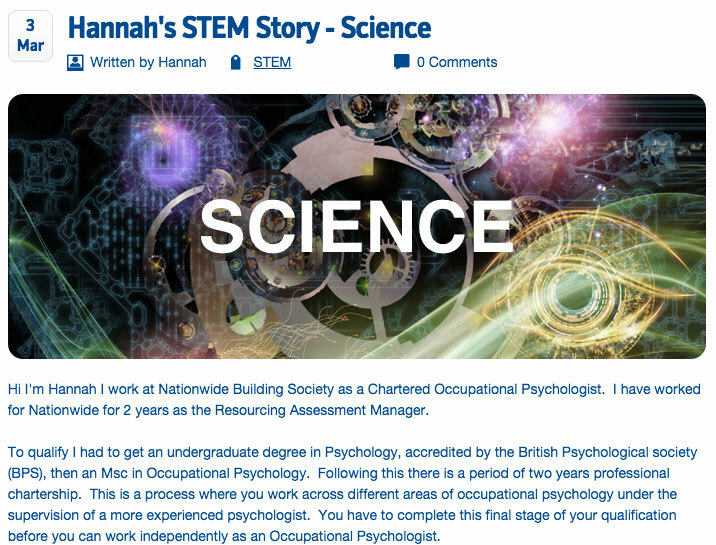 So in order to attract more women with STEM backgrounds to Nationwide, the building society is highlighting and celebrating female employees who use STEM in their role by posting their stories on its employee blog. The blog posts tell the personal stories of the women involved and reveals how they use their STEM backgrounds to do their jobs at Nationwide and detail their career path. The company blog lives on the career site and it has metrics that allow Griffiths to determine how many people read each post, and whether the views result in new job applications. “The blog receives around 190 reads each day, and every visit has about a ten percent conversion rate on application,” he says. 5. Celebrating diversity achievements in the world. Nationwide celebrates historical achievements as well as current topics that support and foster diversity. 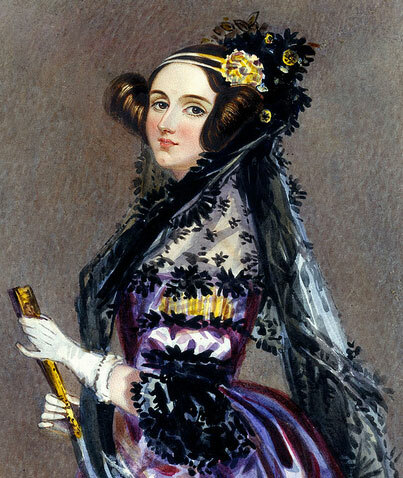 Currently they are working on developing initiatives around the Ada Lovelace Day in England. “Ada Lovelace was an incredibly skillful mathematician who came up with groundbreaking concepts around what the future computer could look like,” says Rice. “It’s only recently that her contribution to modern information technology has been recognized.” Nationwide has plans to engage with local student groups on Ada Lovelace Day, so that young women can hear from STEM women at Nationwide, and can get a feel for opportunities in STEM that are available to them. Additionally, on their public-facing blog, Griffiths tries to cultivate thought- leadership content that addresses relevant issues facing diverse communities. A blogpost might cover the UK’s new law about a father’s ability to take paternity leave, or a new legal issue facing physically-challenged people in the workplace. Rather than just posting the blog to the company website, Griffiths asks his different minority networks to post stories to their own channels, in order to reach job seekers from different backgrounds.